Ash gourd, also known as Petha or Pushnikai , is generally cultivated for its nourishing and medicinal values. 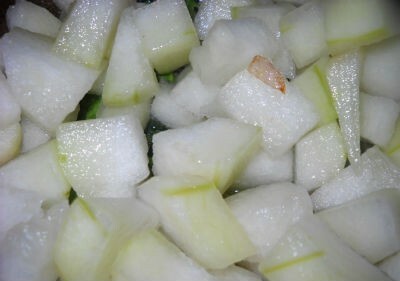 Its mineral and vitamin contents are calcium, phosphorus, iron, thiamine, riboflavin, niacin and vitamin C. It’s green in colour from outside and white inside.Petha/Pushnikai is generally used for making sweets, preparing sambar and other curries of South India. Ash gourd / Petha juice is highly recommended for maintaining general good health and in curing diseases of any order. 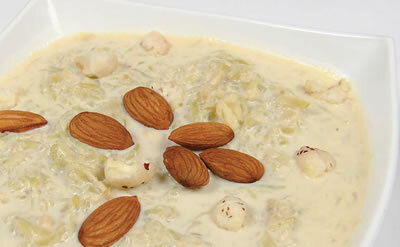 We have 8 Ash Gourd recipes in this category. 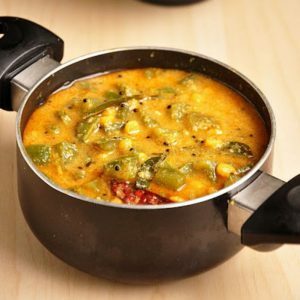 Here are the most popular Ash Gourd recipes from Awesome Cuisine ever.